The mundane details of life sometimes conspire against your creative process. And, if you’re anything like me, sometimes you conspire with them. These last few months I’ve felt awash in little stuff that’s mildly creative but mostly TCB, as the great Aretha Franklin might say. I’ve relaunched our Fatelink site, long due for an upgrade. I’ve attended Social Media Week, Los Angeles, to attempt to understand how to connect with my fellow indie filmmaker brethren. I’ve written and distributed loads of press releases to support Dumbass Filmmakers! and submitted our show for consideration by the IAWTV. I’ve submitted my taxes to my accountant and written my quarterly report for the LLC. But, until now, I haven’t made much progress on the rewrite of this script. Today, I cracked open my new Mac Book Pro and started reading the script. And quickly, that developed into eliminating a lot of dialogue. A lot. Which is what always happens with a feature rewrite. And I’m pleased to report that I’m happy with the structure of the script and more dialogue will be coming out tomorrow. Stay tuned….. So what to do when you get to that point in the process when you need to rewrite but haven’t yet found the fuel or perspective to deliver on the next draft? Time to do a little more research. Creating a reading list and then spending time working through some books will help distract your creative mind from the problems at hand with the script. Sometimes, a little distraction is just what my creativity needs to reboot and come up with something fresh. Plus, if the books in some way relate to the script, it’s more than a distraction. I’m subconsciously injecting new ideas, imagery and information into my brain for later use in ways that I might not be able to predict. I highly suggest choosing a range of books from fiction to non-fiction, religious texts to filmmaking tips. But that doesn’t mean just read a Nancy Drew novel for no reason. Have some idea why each book might flesh out your arsenal for the rewrite. Once you finish your list – or even before – you might find yourself renewed, armed with a sharper insight to take your first draft to second draft. Here’s my reading list for “Inside-Out, Outside-In” and my thought process behind why the text was important. 1. “In the Blink of an Eye: A Perspective on Film Editing” by Walter Murch – My favorite book on editing. It presents a philosophy of editing, not a technical handbook. I love Mr. Murch’s ideas and grounding myself in the reality of editing before I’m even on set is always good for my shot list preparation. 2. “The Upanishads” – My film covers certain aspects of Eastern spirituality so this is a must. 3. “Boulevard of Broken Dreams: The Times and Legend of James Dean” by Paul Alexander – Because my film tackles the complex secrets that successful actors sometimes carry, I looked to the life of James Dean for inspiration. This was a fast, fun read as well as being insightful into the difference between public image and reality. 4. “All Quiet on the Western Front” by Erich Maria Remarque – One of my friends was once told by her boyfriend at the time, “Stop complaining. Read a war novel.” While their relationship wasn’t meant for the history books, reading a war novel certainly does bring you in touch with primal aspects of our humanity that remain under the surface in peacetime. But, as a writer-director, I always want to be in touch with the primal pain and fear of my characters, even if it’s repressed. The war novel helps me re-discover that. 5. 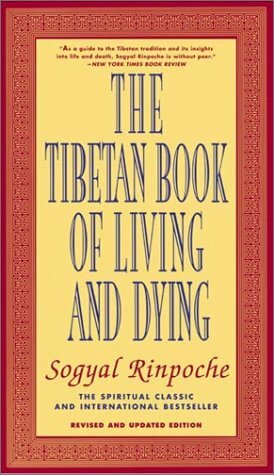 “The Tibetan Book of Living and Dying” by Sogyal Rinpoche – Again, the whole Eastern spirituality thing. 6. “The Stranger” by Albert Camus – The lead characters of my film at times question the purpose of their existence, whether they ever say this out loud or not. So I thought a little dose of existentialism was in order. 7. “The Gnostic Gospels” by Elaine Pagels – I wanted to explore the intersection of Western and Eastern spirituality so the Gnostics seemed to be the way to go. 8. “Psychological Types” by Carl Gustav Jung – The film also explores introversion versus extroversion so I wanted to bone up on psychological types and archetypes and nobody does that better than Carl Jung. Also, for any script, I think it’s a good exercise to break down which personality type fits each character. It really illuminates how and why they operate in the world. 9. “Bhagavad Gita” – Are you sensing a trend? 10. “Cinematic Storytelling” by Jennifer Van Sijll – I find this book to be an extremely helpful and practical guide for storyboards and shot ideas. It integrates the visual psychology of various styles of shots, so it’s very useful brainstorming tool to start the process. 11. “The Koran” – Okay, you get the picture. But actually, “The Koran” has a very different take of religiosity and spirituality than the others and I wanted to get the perspective of a stridently monotheistic religion. 12. “The Epic of Gilgamesh” by Anonymous – This account of a warrior friendship that ultimately leads to the realization of the fragility and mortality of the human body is even more profound than “The Iliad” to me. Its poetic exploration of friendship relates to some of the issues that the friends in my screenplay face down. It’s fascinating to read about these two men dealing with a very similar conflict thousands of years ago. The more things change, the more things stay the same. If you take a break to read a bunch of books, some might say you’re just procrastinating. And they might be right. But on the other hand, I find that the best type of creativity can’t be forced. It has to be coaxed. And ingesting new inspiration can suddenly pay off in ways you don’t expect. I feel like I haven’t been rewriting at all the last two or three weeks. I’ve been obsessed with starting this blog and with finishing editing on “Dumbass Filmmakers!” Then all of a sudden, literally right as I was falling asleep at around 2 a.m., I thought of an idea to solve the problem in the second act that bugs me the most. I’m not sure where that idea came from, but I’m pretty sure my dedication to research had something to do with it. I just can’t prove it yet.